Whether you are vacationing with the family and want to spend time together swimming, or on the road for business and wish to swim some laps to work out, indoor swimming pools are a staple in their travel routine because they are typically open all year round and are always available. 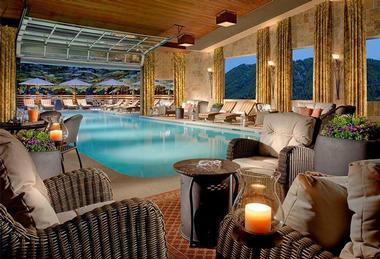 All of the hotel pools on this list offer something unique for every type of traveler. 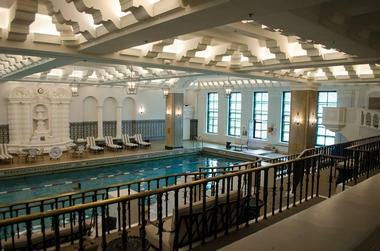 Built in 1929 when the InterContinental Chicago Magnificent Mile Hotel was still the Medinah Athletic Club, this indoor pool is a marvel of engineering and beauty. The pool is located on the 14th floor, offering amazing views of the city through the large windows while also providing views of the 1920s architecture in the pool hall itself. The swimming pool, a junior Olympic-sized pool, is one of the largest hotel pools in the United States; it is also the oldest indoor pool in the city of Chicago. All guests are welcome to enjoy the facility, whether to swim or to simply appreciate the well-preserved 1920s architecture. Located within a 50,000-square-foot sports complex, Omni Grove Park Inn’s fitness center and indoor family pool are two attractions that are sure to keep any activity-seeking guest happy. The swimming pool is kept at the ideal swimming temperature all year round, and parents are welcome to play together with their kids. There are a variety of other fun amenities offered at the sports complex, and access to the indoor pool and fitness center is included with every guest’s stay. The sports complex is open Monday through Saturday from 6:00am to 9:30pm, and on Sundays from 7:00am to 9:30pm, all year round. Residing deep within the Blue Ridge Mountains, Primland resort offers a huge assortment of activities and features that are sure to please any guest who stays there. One can enjoy world-class golf, horseback riding, kayaking, paddleboarding, biking, tennis, and so much more, but when the guests want to relax they head to the chlorine-free pool and “hydrospa” in The Lodge. Guests are invited to swim in the pool at their leisure, and lessons can be arranged with advanced notice if the guest would like instruction. There is no lifeguard on duty, therefore it is recommended that guests swim with a friend or partner. 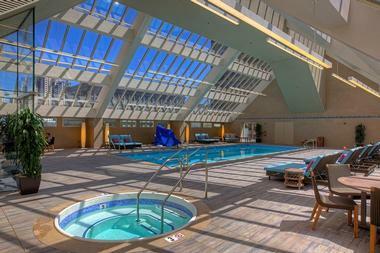 To experience San Francisco in a very unique way, one could enjoy the wonderful views from Hotel Nikko’s glass-enclosed rooftop indoor pool area. Featuring an approximately 50-foot swimming pool, the rooftop area also includes a heated whirlpool, three firepits, an indoor/outdoor seating area, and an extensive food menu that includes s’mores kits. For Imperial Floor and Suite guests, access to the rooftop pool area is free; for all others, the cost is $25 per room, per stay. 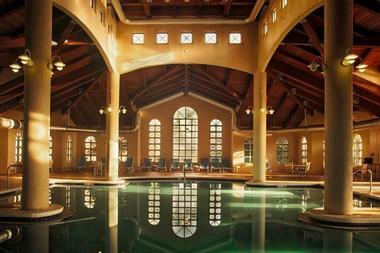 The indoor pool area is open daily from 6:00am until 10:00pm, and can be enjoyed all year round. Situated only minutes from downtown Philadelphia, the Loews Philadelphia Hotel is an excellent choice for business as well as touristic travelers. 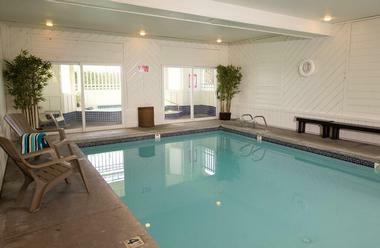 Along with a variety of other amenities, Loews provides a heated indoor pool that is approximately 65 feet long, designed for swimming laps, and set in a room brightened by plenty of natural light. If a guest seeks a workout but doesn’t like to swim, there is also a state-of-the-art fitness center equipped with a full range of Cybex cardio and strength equipment. 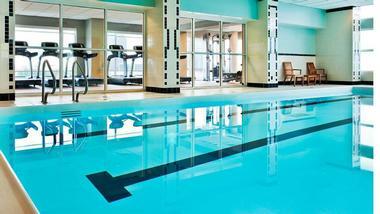 The swimming pool and the fitness center close daily at 10:00pm and are free to use for guests. 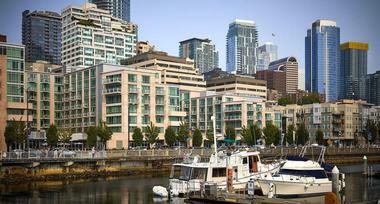 Located in picturesque downtown Seattle, the Seattle Marriott Waterfront is the ideal way to experience the city while having access to a state-of-the-art fitness center and indoor/outdoor pool. This modern hotel has all the features one could hope for, updated rooms, business center, gorgeous lobby and highly rated staff, and guests are also encouraged to enjoy a swim in the indoor/outdoor pool, which allows them to seamlessly transition between environments, all while taking in the view of the Puget Sound. 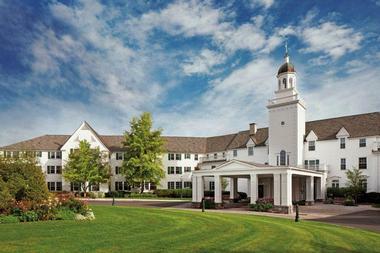 Towels are provided, and the pool is open to any guest staying at the hotel. Open all year round, the picturesque pool at St Regis Aspen is the perfect way to relax after enjoying a day full of riding the slopes at the Aspen Ski Resort. 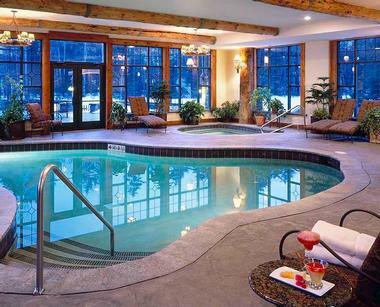 Heated all year round, this pool offers total relaxation with Aspen Mountain as a stunning backdrop, and if something a little hotter is in order, the hotel also has three hot tubs. 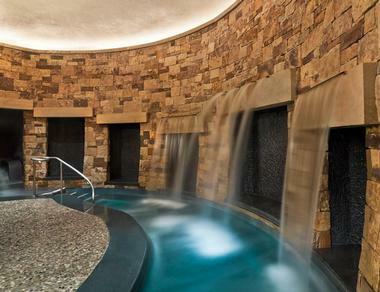 If the pool isn’t relaxing enough, and the hot tubs just aren’t getting those muscle knots out, guests can head over to the full-service luxury spa for a day of pampering and total relaxation. 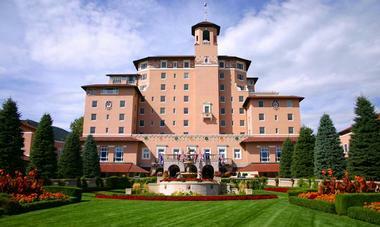 Set in the foothills of the Rocky Mountains, the Broadmoor Resort offers a variety of swimming options to suit all guest needs and desires. When the summer months are warmed by the sun, guests are known to frequent the outdoor infinity pool, where they can enjoy a beach-like atmosphere and a poolside cafe. 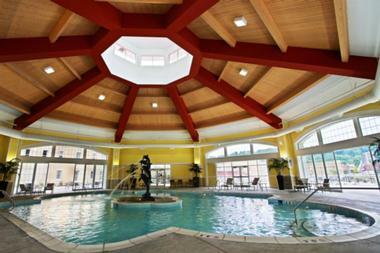 When the seasons change and winter arrives, guests still have three great choices for swimming: The spa pool, the lap pool, and the whirlpool, all of which are located indoors and heated to the ideal temperature. 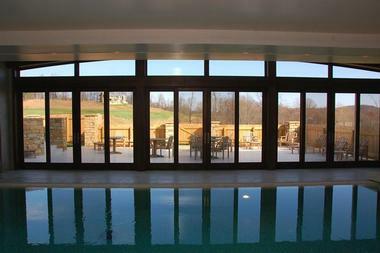 Access to all pools is included in room rental. The Estes Park Resort, located on Lake Estes in Colorado, offers indoor swimming and soaking options for those who wish to take to the water even after snow has covered the ground and the lake is near freezing. Being the only resort on Lake Estes, guests can enjoy outdoor activities such as snowshoeing, horseback riding, boat rental, and hiking. If the indoor pool and hot tub aren’t relaxing enough, guests can book massages and spa treatments all within the resort, so there is no driving or waiting in line to relax. 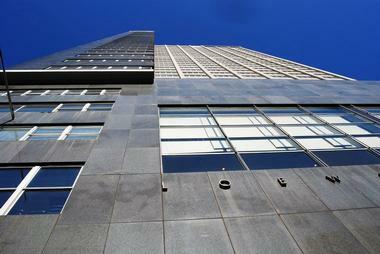 For information on specific rates and services, please visit their website. 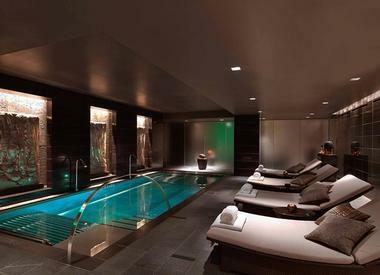 Surrounded by the gorgeously designed Shibui Spa, the indoor pool at The Greenwich Hotel is sure to please even the pickiest of swimmers. The architecture around the pool, a 250-year-old imported bamboo Japanese farmhouse, features exposed beams, soft lantern lighting, and plenty of lounging areas to relax and enjoy intimate conversation or a cup of Japanese tea. Yoga classes are offered poolside in a group or private setting, and there is also a fitness center with a wide array of equipment to enable even the most difficult routines. Surrounded by the beauty of the Grand Tetons, the Lodge at Jackson Hole provides a fascinating heated indoor-outdoor pool for guests to enjoy the wonderful views all year round while soaking their worries away. This cleverly designed indoor-outdoor swimming pool is surrounded by comfortable and inviting seating as well as plenty of windows to take in the view of the mountains, and is available for all guests to use at their leisure. If a more relaxing experience is required after a full day’s skiing or hiking, guests are invited to visit the full-service spa to have every ache and pain relieved during their stay. 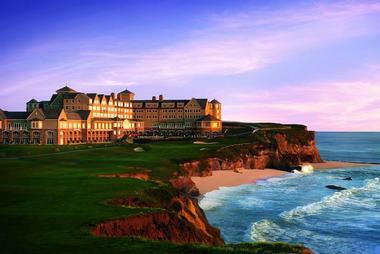 Guests staying at the Ritz-Carlton in Half Moon Bay will find that on top of their luxurious stay, they have access to a heated indoor pool all year round just a few steps away from the hotel, at the Colony Club. The pool is open 7 days a week and is located within a standalone glass building that allows ample natural light to fill the space while keeping out chilly breezes or inclement weather. The swimming pool is available Monday through Friday from 6:00am until 9:00pm and Saturday/Sunday from 7:00am to 8:00pm. Adult lap swimming hours are hosted Monday through Friday 6:00am to 9:00am, Tuesday and Thursday 7:00pm to 9:00pm, and Saturday and Sunday from 7:00am to 9:00am. The Sagamore Resort, built next to Lake George, features a variety of heated swimming pools with breathtaking views of the lake while still remaining protected from the elements. While enjoying views of the Adirondack Mountains, guests can order refreshments from the Splash Pool Bar and relax next to the 95,000-gallon swimming pool on one of the 250 chaise lounge chairs. Pool towels are provided by the hotel’s towel attendant and are limited to two per guest per day. For adults seeking a quiet space to relax, they will be pleased with Terrace West, a private area that is restricted and allows entry only to guests over the age of 16. Built in idyllic Cannon Beach, Oregon, the Wayside Inn offers access to some of Oregon’s famous beaches for guests to enjoy, while also providing indoor swimming options for guests who don’t wish to leave the resort. The heated indoor pool is extremely functional, located directly within the resort, is available for all guests to use, and provides towels for swimmers. 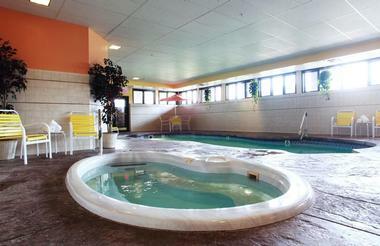 Alongside the pool is a hot tub that guests can relax in after a long day spent exploring the beaches. Guests are invited to contact the resort with any specific questions about the pool, such as hours of operation or how to reserve the space for events. 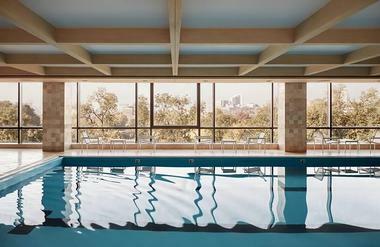 When travelling for business or pleasure, guests often seek out indoor pools for exercise purposes or to spend some time splashing around with the family, and the Westin Buckhead Atlanta covers both bases with their modern heated indoor pool. 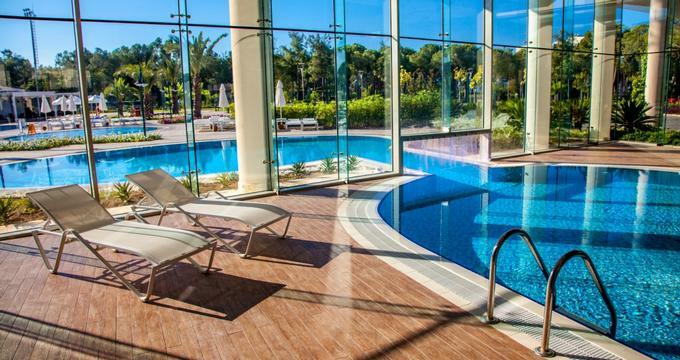 Located on the lower levels of the hotel, guests will find the swimming pool alongside the fitness center, both of which are available for guests to use free of charge. There are no dedicated lap swimming hours for this indoor pool, so it is recommended that those guests who wish to swim uninterrupted choose off-peak hours or ask the hotel front desk for tips on times. As the weather in Indiana can be quite drastic in all seasons, many guests will enjoy the heated indoor pool at the West Baden Springs Hotel for all their swimming needs. 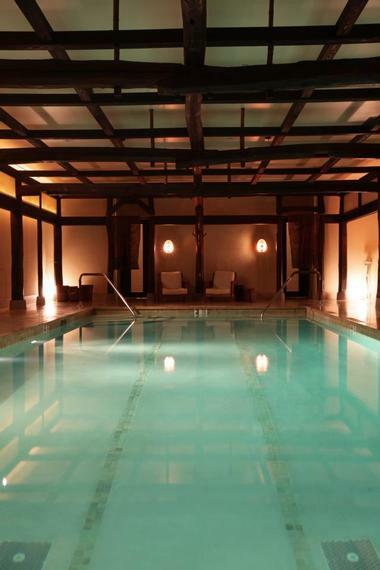 This traditional pool measures 76 feet long by 26 feet wide and can be found on the lower level of the spa. Ideal for swimming laps, guests who seek a workout will flourish in these long lanes that allow for more strokes and less turnarounds, while guests who prefer a casual float and soak will enjoy the comfortable temperature of the water and the surrounding lounge chairs. 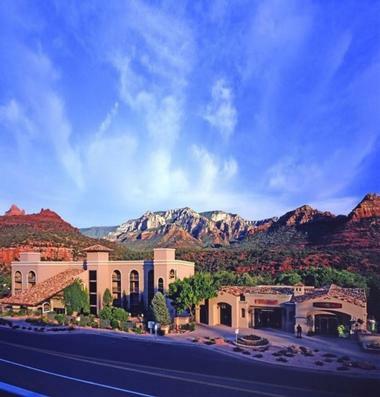 Built in the classic desert town of Sedona, Arizona, the Arroyo Roble Hotel is surrounded by sheer canyon walls and red rock buttes. The hot climate will make being indoors all the more appealing, which is what makes the gorgeous indoor pool the perfect treat to beat the heat. The year-round swimming pool is enjoyable by families and individuals as well as those who are physically challenged and may require specific accommodation. Near the pool there are hot tub, sauna, and workout room facilities available for use as well, and all are included in the cost of your stay. 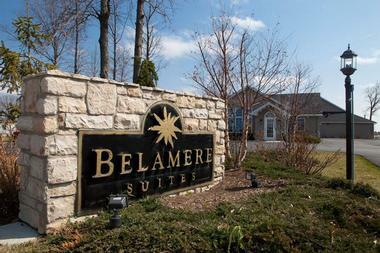 With four different and unique suite options to choose from, each with its own personal pool, there is no way to make the wrong decision when booking a room at Belamere Suites. Enjoy a child-free zone while booking the ultimate couple’s retreat with a loved one; whether you fancy a relaxing dip in the private Jacuzzi, enjoying a rinse together in a luxurious two-person walk-in shower, or going for a swim in the private indoor pool that is included in the suite, there is certainly something for everyone. 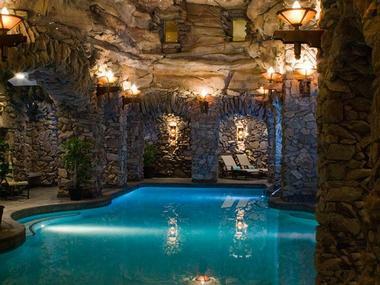 All rooms feature a lofted space with indoor pool, many of which have mood setting lights, candles, and specifically designed relaxation pool toys. 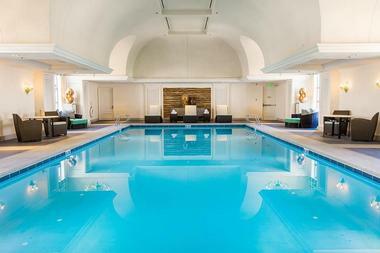 The Health Club, located on the second floor of the Fairmont Olympic Hotel in Seattle, Washington, is a fully equipped facility that is sure to please any indoor pool enthusiast. Along with their 42 by 16 foot indoor swimming pool and large whirlpool, the Health Club also offers poolside service with local food and beverage options. The normal hours of operation are Monday through Friday from 5:00am to 10:00pm, and weekends from 6:00am to 10:00pm, and there are spacious changing room facilities with shower and sauna provided. Children under 17 must be signed in by an adult, and are not allowed to swim without adult supervision since there is no active lifeguard on duty. Located within the City on a Hill, the Four Seasons Hotel Boston features a stunning indoor pool on the 8th floor of the hotel, offering breathtaking views of the Boston Public Garden and Beacon Hill through floor-to-ceiling windows. With a depth of 4.6 feet and a length of 44 feet, it takes 60 laps to swim a mile, and this pool with a view is a great place to get a workout while staying at the hotel. Forgetting to bring a swimsuit is no excuse here, because the Four Seasons has options available for purchase, and if swimming builds up an appetite, guests can order food and drinks to be delivered right to the pool deck.